Rainbow stripes come with perks. 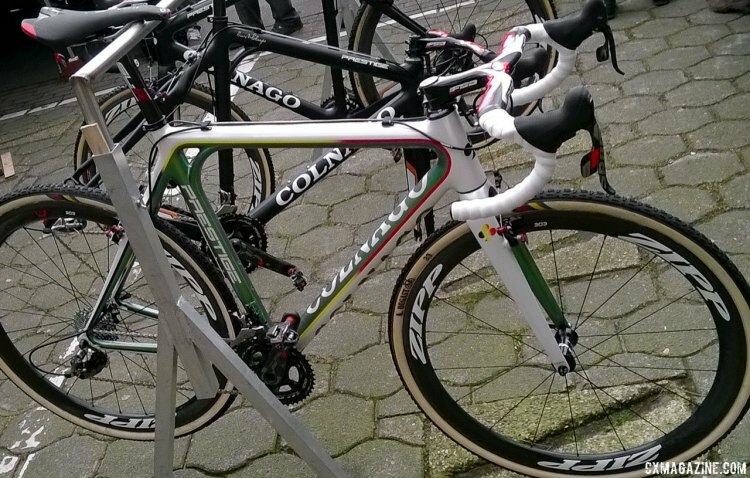 Like Wout van Aert’s Colnago Prestige dressed in World Champion livery. 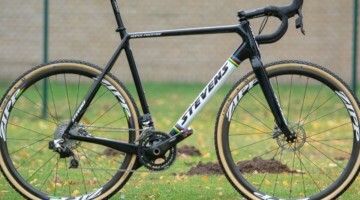 Van Aert’s bike is akin to the one he used to open the World Cup series at Cross Vegas back in September. 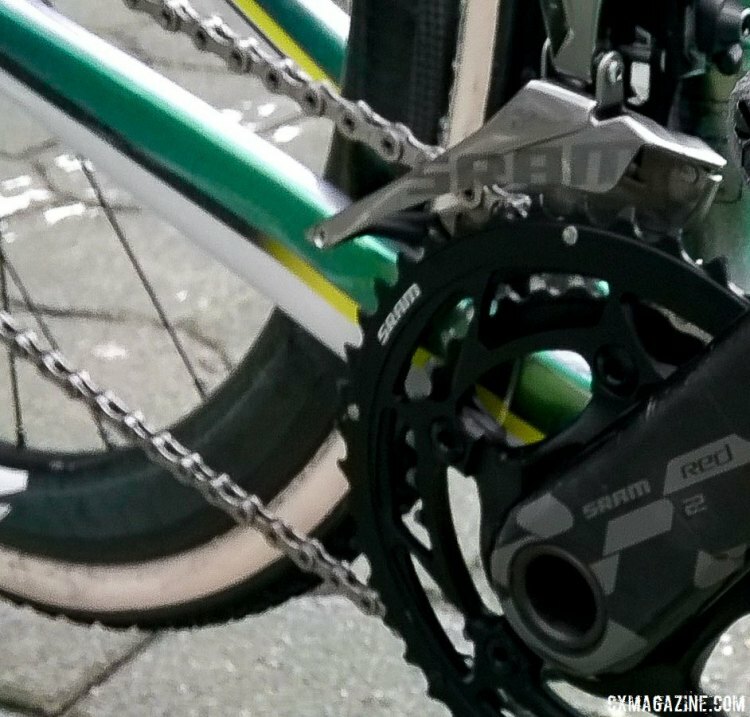 It’s a familiar sight, at least on van Aert’s bike, of a SRAM Red 22 set up and cantilever brakes, compared to the now more commonplace Force 1 drivetrains and hydraulic discs seen under other pro’s. The seemingly old-school build makes his bike a standout. The SRAM Red 22 kit includes the Red 22 Double Tap shifters, Red 22 rear derailleur, Red 22 Yaw front derailleur and the Red GXP crankset with a 46/36 chainring combination. Sticking with tradition, despite his young age, van Aert’s cantilever brakes are from SRAM’ subsidiary Avid and are the Shorty Ultimate model. 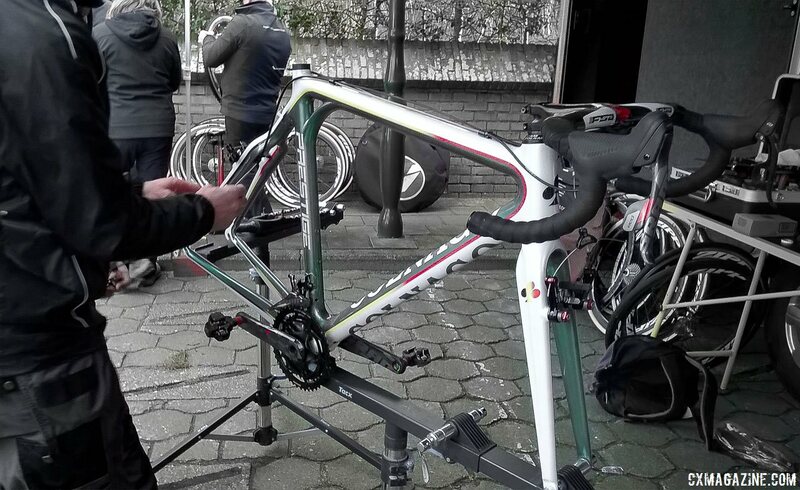 They control the speed of his Zipp 303 tubular wheels, which are wrapped in Dugast rubber. 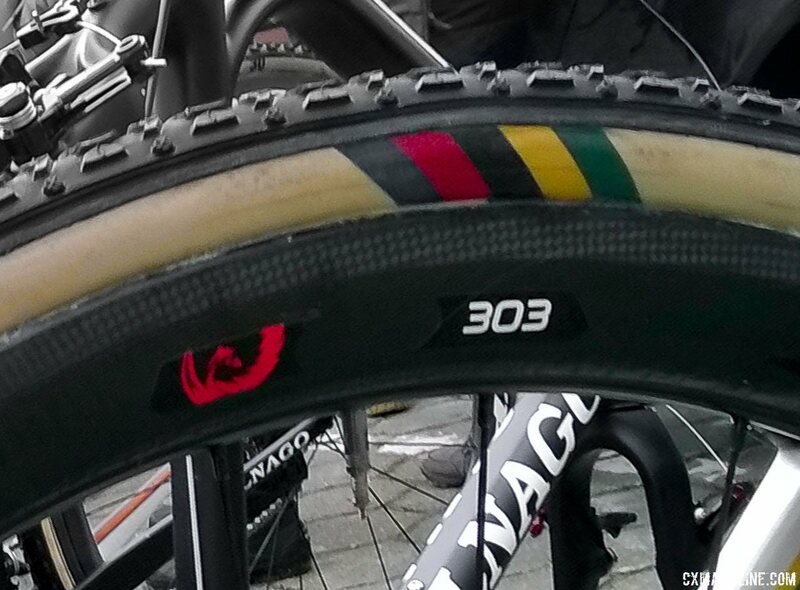 There was talk during the 2016 Cyclocross World Championships that van Aert was running a prototype tubeless Dugast tire. In fact, as he told us last Wednesday after Parkcross Meledgem, he wasn’t running the new tubeless offering from Dugast during the wet conditions . Van Aert’s cockpit is also somewhat of a rarity in Elite-level international cyclocross, in that he runs an carbon integrated bar-stem unit, FSA’s Plasma. FSA also supplies the carbon seatpost in the form of their SL-K model, on which sits van Aert’s saddle of choice, Prologo’s Scratch 2. Van Aert’s pedals are also fairly rarely seen in the Elite ranks, the Time ATAC XC model. cyclocross WoutvanAert Does Colnagoworld have a warehouse full of canti bikes, as they don’t sell them to the public any longer? 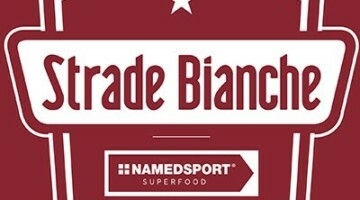 Ziet er smaakvol uit. 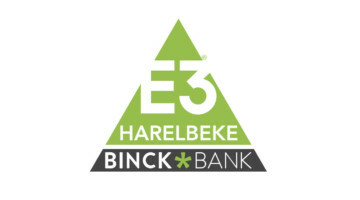 Beter dan wat die blinde ontwerper van de Crelan-Vastgoed tenue’s er van gebakken heeft. 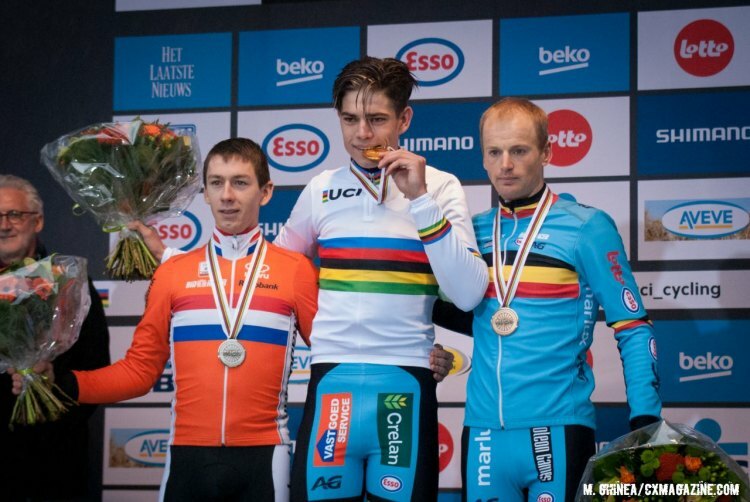 I’m pretty sure that’s just his Belgian national champ bike, if you look at the colors it’s just red, black and yellow, with green to match his teams kit.